From pictograms to line graphs, children learn a lot about collecting, organising and presenting data in primary school maths. 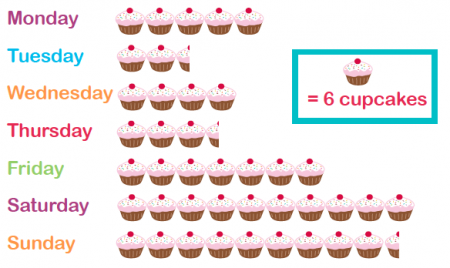 We explain how data handling is taught in KS1 and KS2 and how you can help your child get to grips with basic statistics at home. Data handling at primary school means gathering and recording information and then presenting it in a way that is meaningful to others. It is now referred to as ‘statistics’ under the new 2014 curriculum. 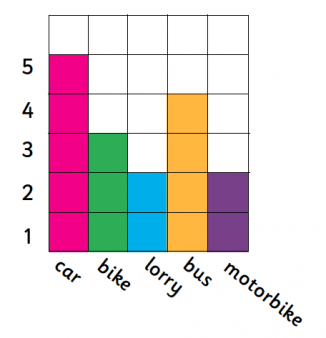 When do primary-school children learn about data and statistics? Under the new curriculum, children in Year 1 do not study statistics. In Year 2, children are shown pictograms, tally charts, block diagrams and tables. To help children understand the way the information is presented in each format, they will be asked various questions, for example: ‘Which is the most popular fruit in the class?’, ‘How many children like dogs?’, ‘How many buses were seen in half an hour?’, ‘Which is the least popular sport in the year group?’. 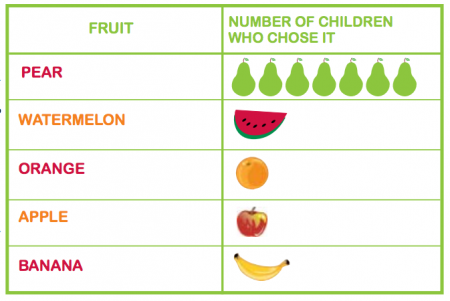 Children also need to understand how to analyse information to understand what the total number of people surveyed is. 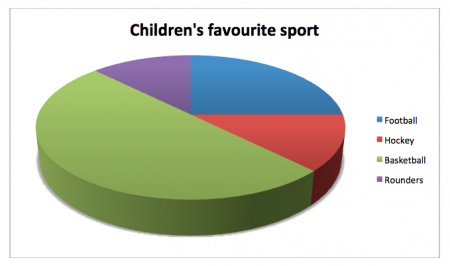 For example, when looking at the favourite sports table above, they would need to understand that to find the total number of children in the year goup, they would need to add up all the numbers in the right hand column. The best way to get children really involved in data handling is to encourage them to find out their own information and show them how to record this accurately, be it in a list, table or tally chart. Teachers then demonstrate how to convert this information into a pictogram or block diagram. They would then move onto collecting and recording their own information and then presenting this in a bar chart. Children tend to find producing their own bar charts tricky and need plenty of help to draw an axes and then work out how to draws bars all of equal width and evenly spaced. In Year 4, children look at both discrete and continuous data. Discrete data is information that can only take on certain values, for example: numbers of children (you can’t have half a child). Continuous data can take any value within a range, for example: a person’s height, a cat’s weight and time taken to get to school. They may be asked to discuss what happened between 6 and 8 minutes (the car did not move, possibly stuck in traffic). They also need to continue to solve comparison (which food is most popular? ), sum (how many children are in the class altogether?) and difference (how many more people like hockey than tennis?) problems. They also need to interpret and construct line graphs. For example, they might be asked to carry out an investigation, such as measuring the temperature each hour throughout the day, or measuring the weight of a growing guinea pig. They would then need to think about constructing a line graph to present this data. To find the mean average number of minutes of football practice Steve has done each day, you would need to add all the values in the right hand column together to make 315, you would then need to divide this number by 7 (which is the number of days) to make 45. Therefore, Steve has done an average of 45 minutes of football practice a day. 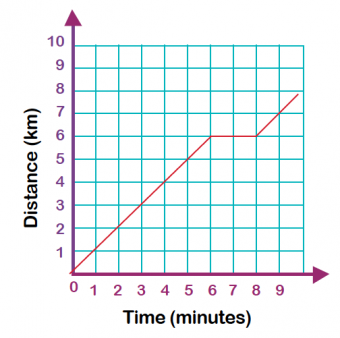 What is a block graph? 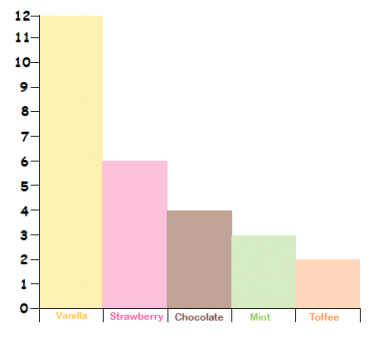 What is a bar chart? 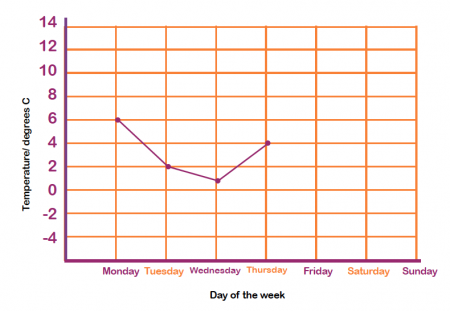 What is a line graph?